These two photos were taken in my hometown Lichtenvoorde, in the eastern part of Holland. 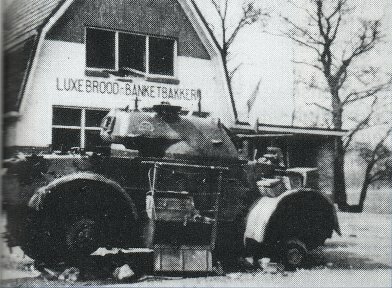 They were taken by the father (Willem Wekking) of my uncle. 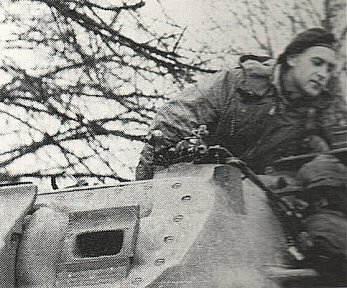 He was a professional photographer before the war, and, as a true Dutchman, kept on photographing/filming during the war, despite the severe penalties which could result. 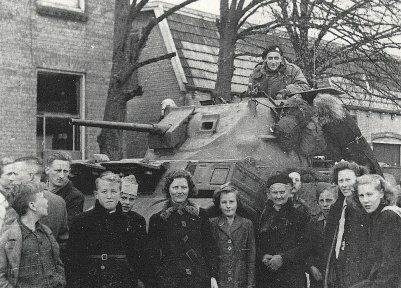 Lichtenvoorde was liberated about 8.00 hours in the morning of 31 March 1945 by the British Guards Armoured Division. 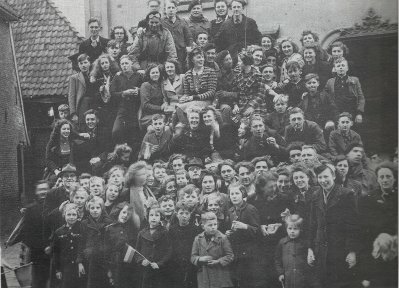 31 March was "Eerste Paasdag" or "First Eastern Day". 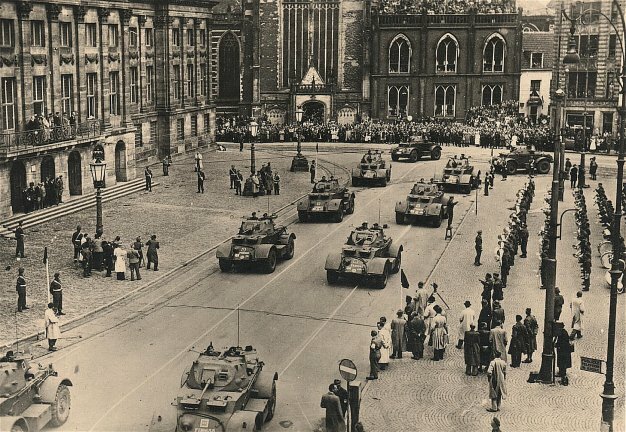 According to eyewitnesses the liberation of Lichtenvoorde was easy (I think when you are in a fighting unit you can never speak of an "easy" liberation) It was described as "they came from Aalten and went to Groenlo". 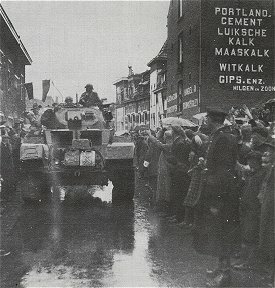 Both photos were made later on this day, in the centre of the village, opposite site of the church. 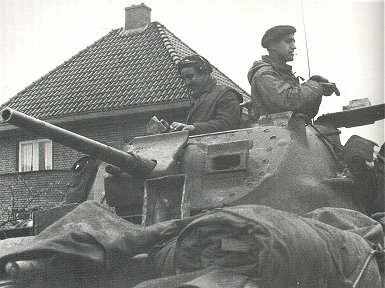 The actual liberation of Lichtenvoorde was also filmed on 8mm film by the same man. 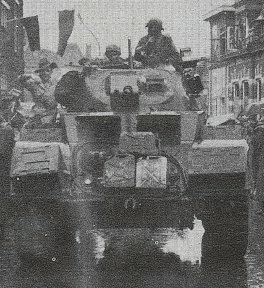 The film shows a column of Shermans and Halftracks entering the town from the direction of Aalten. 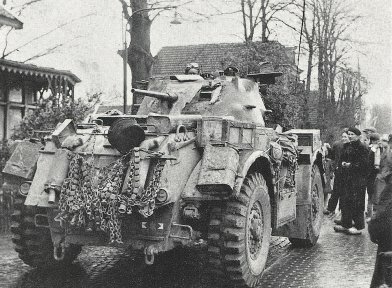 The Shermans carry the numbers 52 and 48. 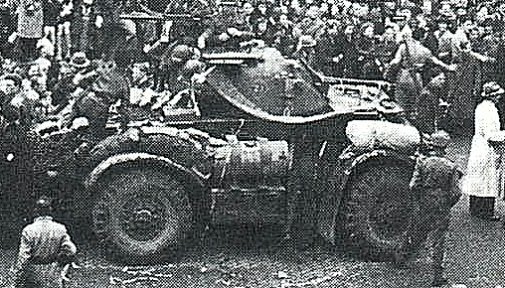 In the film there also appear a Dingo and a Daimler armored car, both clearly carrying the well known number "44" . 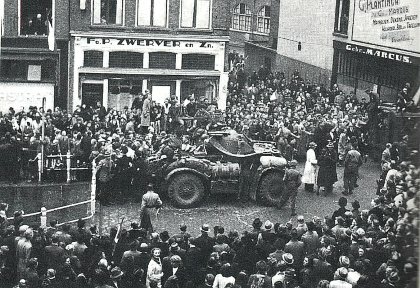 remembrance of the "Bevrijdingsfeesten" or "Liberation Celebrities". 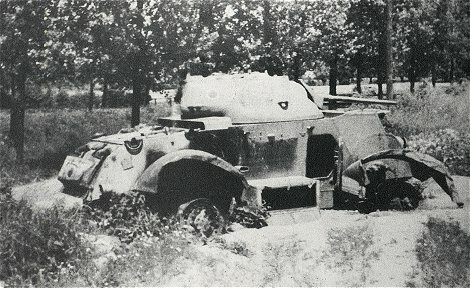 which was destroyed near Wijhe, Holland. 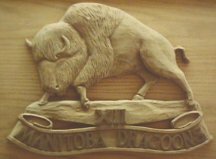 Luitenant Hugh Henry Anderson got killed on that occasion. 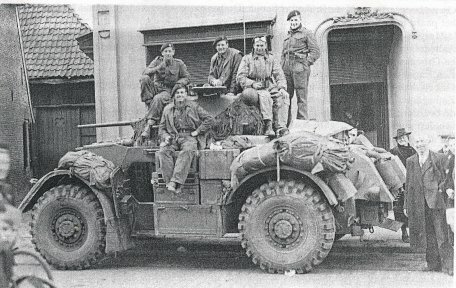 Lieutenant Thomas Wilson and Trooper Wilfred Soanes.